The old caffeinated way just won’t cut it anymore. We’re here to do big things and make real changes. After we tested and tasted all other whole bean coffees, we tasked ourselves to create the most unapologetic, unpretentiously strong coffee. We roast these beans to fuel ourselves and other honest hardworking folks to work harder and faster. Our single origin 100% premium Arabica dark roasted whole bean coffee beans are so full of rich, exotic and bold flavor the minute the aroma hits your senses good things start to happen. Not to mention that our caffeine content game is STRONG because these beans were grown and roasted in Vietnam, the birthplace of ridiculously strong coffee. 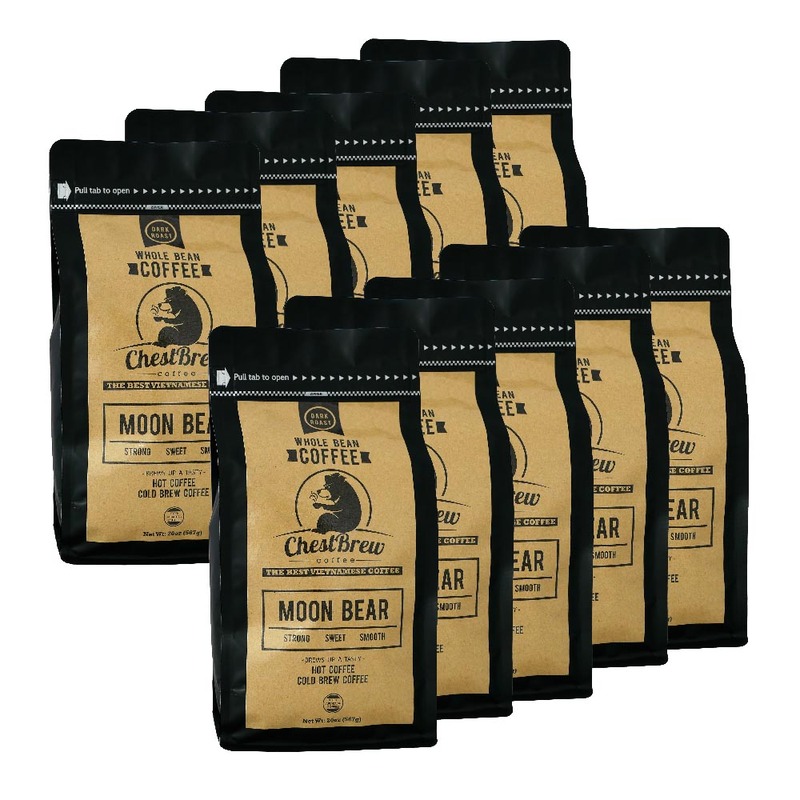 So if you’re not down with weak and pretentious coffee, grab yourself a bag of ChestBrew coffee now and crush it.